Keep on reading Nexter.org to see the horrible consequences in those areas. 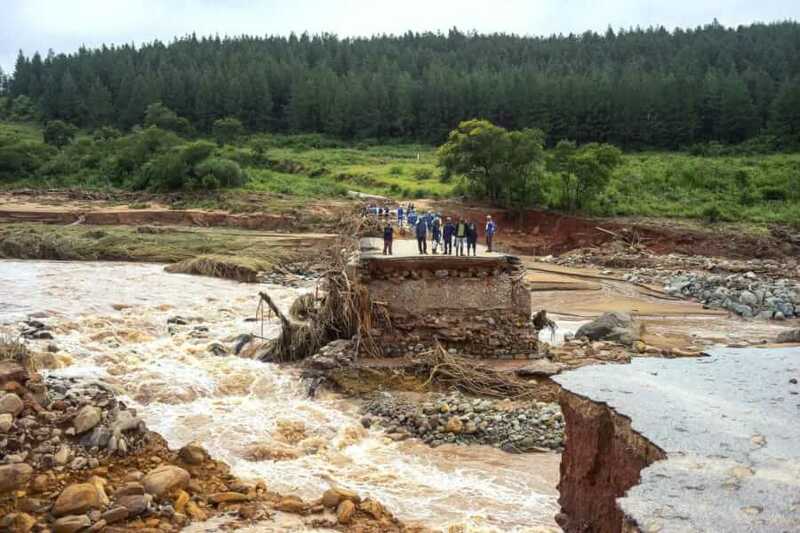 A catastrophe is unfolding in the wake of Cyclone Idai, which hit the southern African countries of Mozambique, Zimbabwe, and Malawi on March 15. 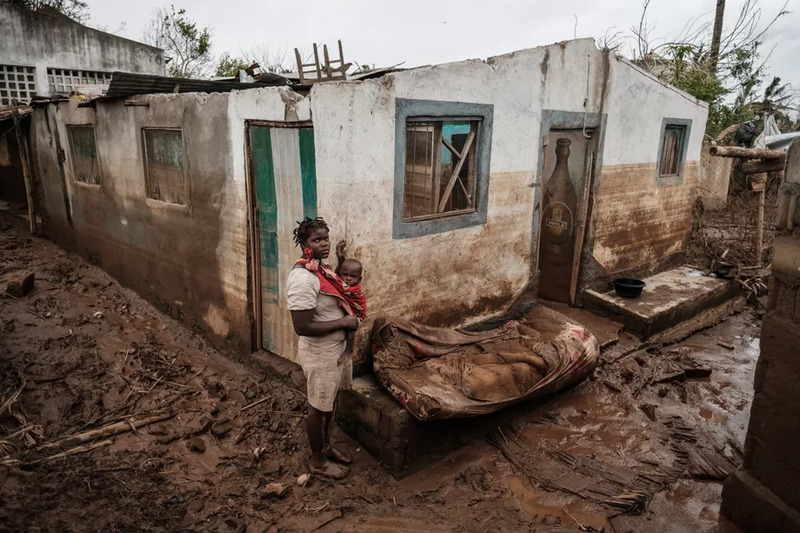 In all, the storm is believed to have killed more than 750 people across the three countries, with the most deaths occurring in Mozambique, where the storm made landfall. More than 100,000 people are now living in shelters. 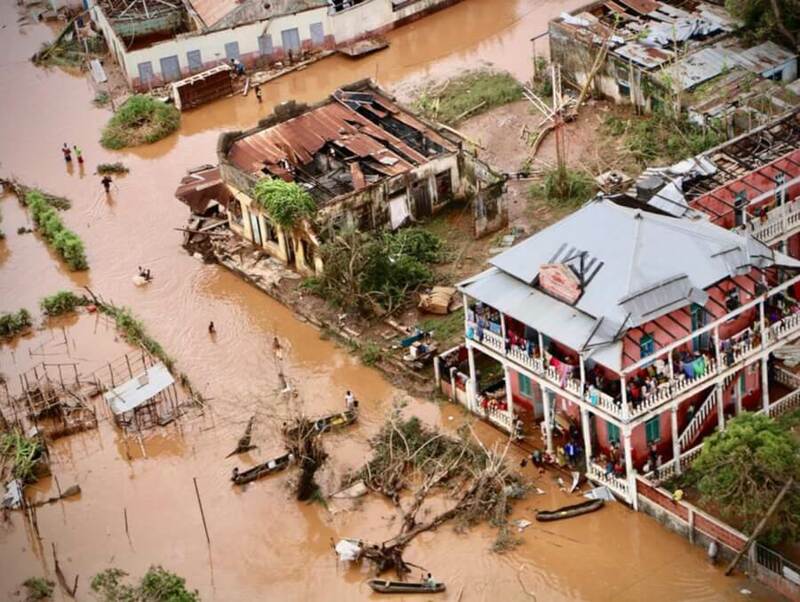 Beira took the full brunt of Cyclone Idai, with aid agencies reporting that 90% of the city had been destroyed by the storm. 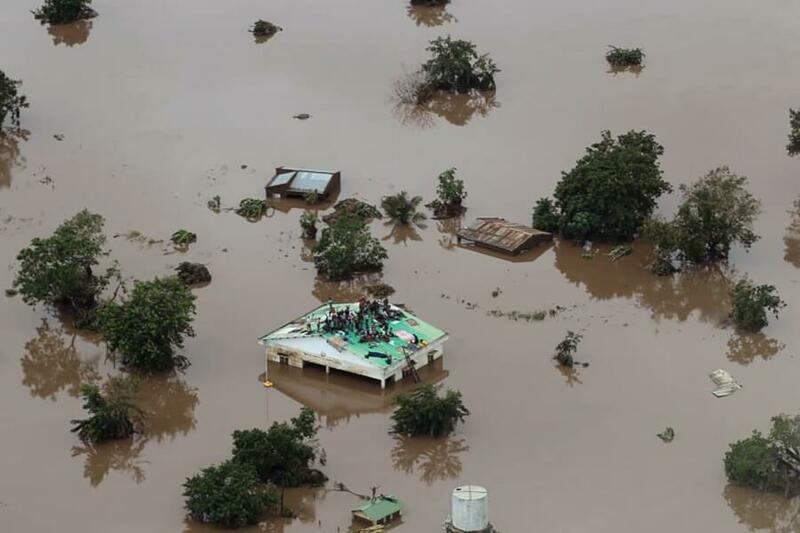 The storm brought intense, flooding rain and an estimated 13 feet of deadly storm surge to some coastal areas in Mozambique. 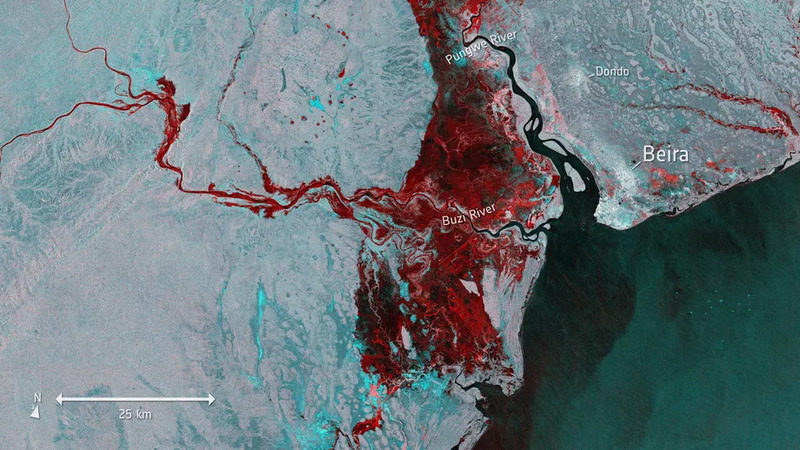 The European Space Agency captured the extent of the flooding via satellite on March 19 (the flooded areas are in red). More trouble may be coming. Where there’s flooding and poor sanitation, disease follows. 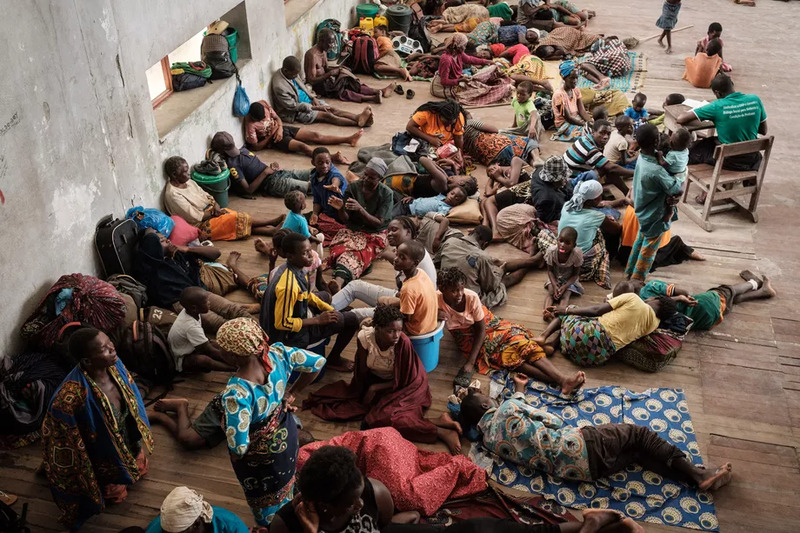 The IFRC reports there are now cases of cholera — a bacterial infection that spreads when drinking water is tainted with feces — in Beira. 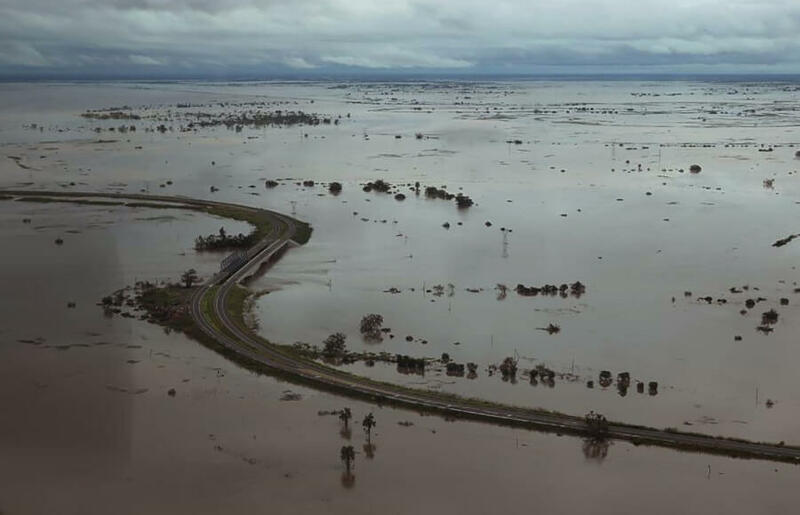 Flooding following Cyclone Idai has left hundreds dead and more than 100,000 displaced in Mozambique, Zimbabwe, and Malawi. Keep on reading Nexter.org to see the horrible consequences in those areas.